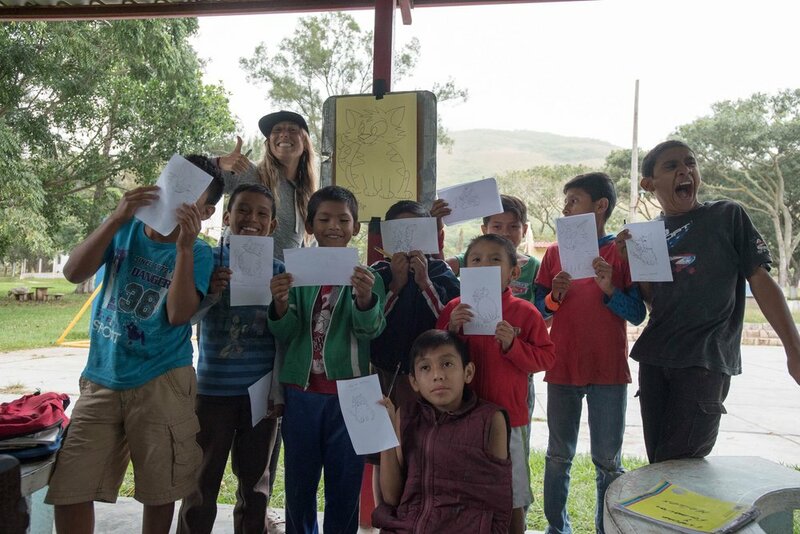 We caught up with the AMAZING kids from Hogar Infantil along with our new Swiss friends (@raclette_van on instagram) to camp, volunteer and teach some drawing lessons I had up my sleeve from my teaching in NZ! 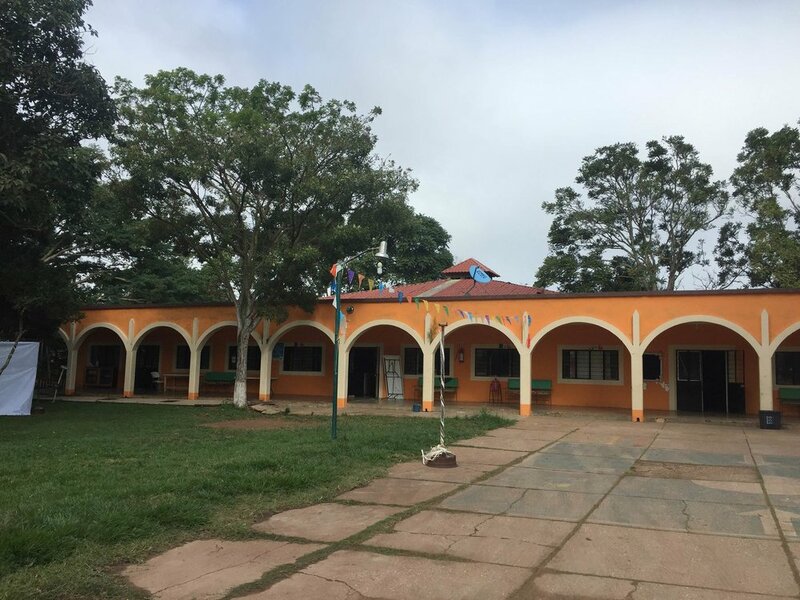 Hogar has been around since 1963 and is home to approximately 80 children. 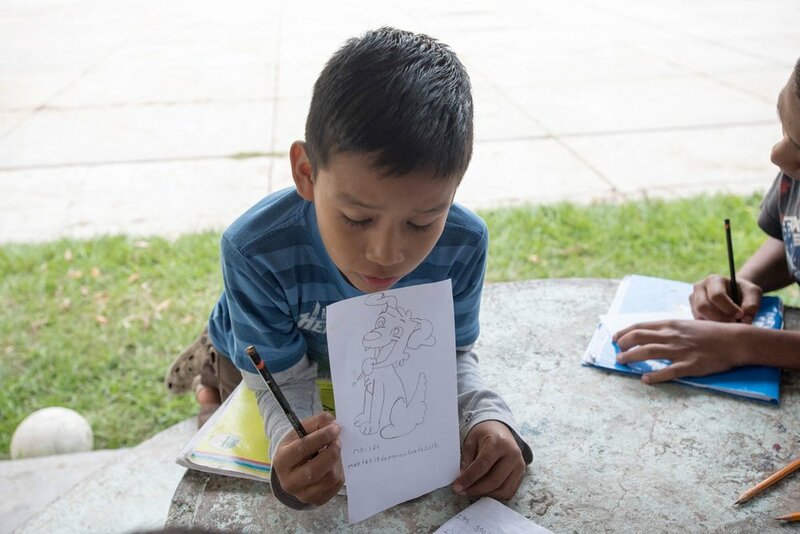 They come from many diverse situations- poverty, abuse, death of a parent, neglect, or inaccessibility to education. We bought some poster board so I could show them step by step how to draw a bunny, a cat, a dog, and a bear! They copied my steps on the paper we bought from the local papeleria and used my pencils and markers. 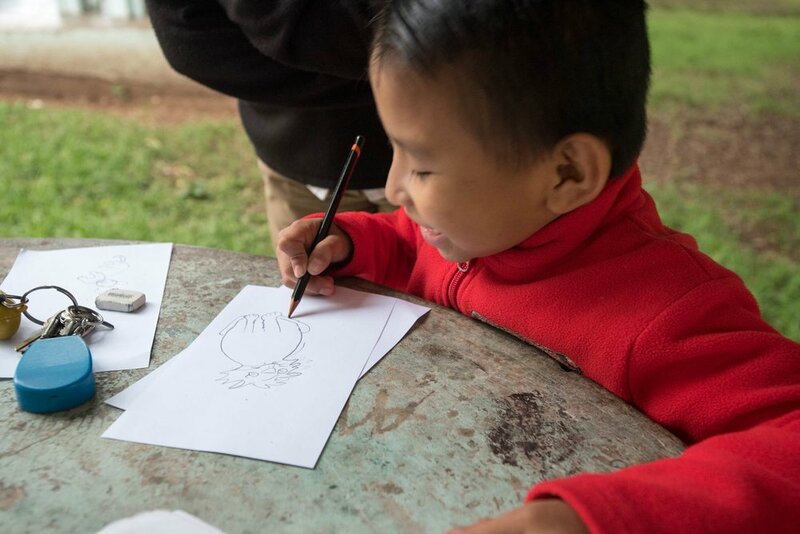 It’s always so great to see their faces when they look down and see that they drew those animals all on their own! 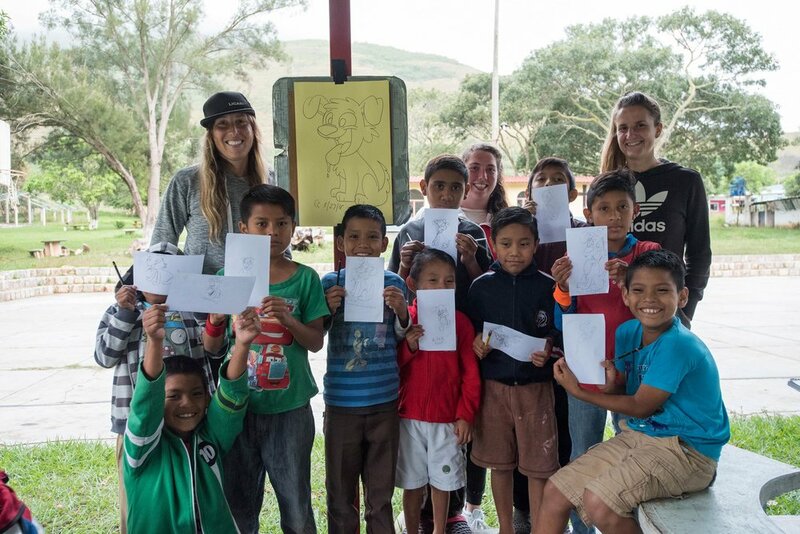 They were so sweet, full of hugs and appreciation, and the group of boys was super excited energetic and didn’t stop drawing until a random fútbol game broke out, ha! After about 4 hours of drawing followed by an hour of Soccer, we were all pretty exhausted, and as the light dwindled and the kids started to turn in for the night, we returned to our vans and had the most amazing Swiss made hybrid corn/flour crepes! We contributed some mac and cheese and pasta salad (we were running a bit low on groceries, what ya gunna do…) and shared a beer while enjoying the after glow of such a fun experience. 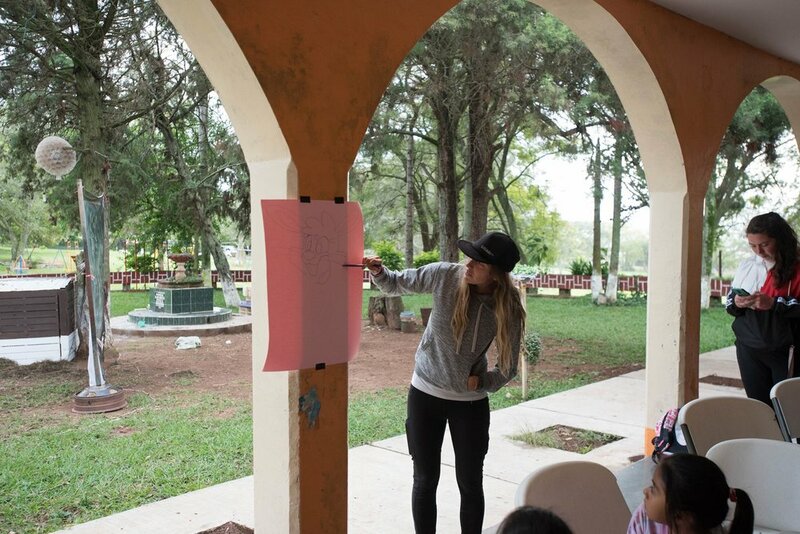 Or if you find yourself in Chiapas, Mexico and need a place to camp and would like to spend some time with a wonderful group of people, swing in and see what you can do.